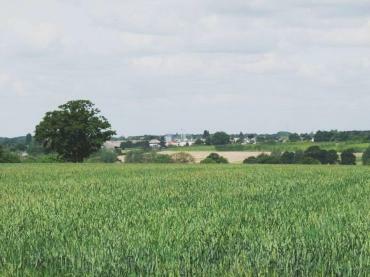 BeenThere-DoneThat: The area around Colchester, Essex. Built by the Normans around 1100, over the base of the Roman temple of Claudius which was buit one thousand years earlier, it was the largest Norman keep ever built. 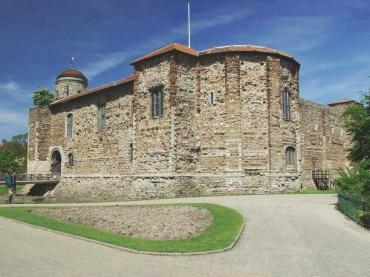 Because Essex has no natural building stone the castle was built from reclaimed Roman building materials. Roof tiles can easily been seen in the walls. The large windows were added much later in the 18th century. The original windows are the smaller slit windows seen elsewhere on the building. The Gardens, which are open to the public, are located next to the Colchester to Clacton-on-Sea road, the A133, about 4 miles east of Colchester and just the other side of Elmstead Market. They have their own parking facilities. 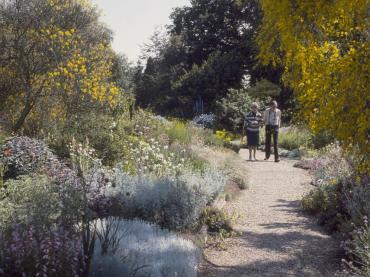 Beth Chatto started her garden in 1960. The site consited of neglected wasteland in a shallow valley with dry gravel soil on the higher ground and a spring-fed ditch in the bottom. Just look at it now! St. Michael and All Angels Church, Copford Green. 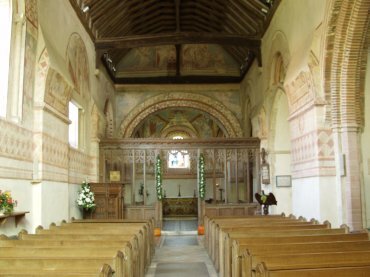 Copford Green is a small village on the outskirts of Colchester and the church was described by Pevsner as the most remarkable Norman parish church in Essex. It is interesting architecturally and is in a pretty woodland setting but the interior is the real attraction. You should be able to see, in this view of the Nave, that the walls are covered in paintings of Norman origin. 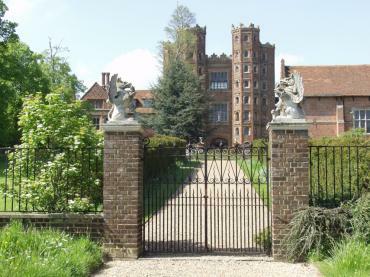 Layer Marney Tower is the tallest Tudor gatehouse in Britain. Dating from the 16th century it lies in the small hamlet of Layer Marney about 7 miles South West of Colchester. This building was intended, by the First Lord Marney, to be the gatehouse of a much larger house. The main house, however, was never built. As a gatehouse it would certainly have been impressive with a tower eight stories high. A view of Tiptree across the fields showing, in the centre, the Jam factory (marked by three slender chimneys) where the world famous Tiptree Jam is made.